In other words, none of the theological arguments about the place and authority of the pope in the church can ever possibly hold water if this historical foundation is removed. That sort of an argumentative lynchpin is just too juicy a target to pass up. Turretin can't help himself. 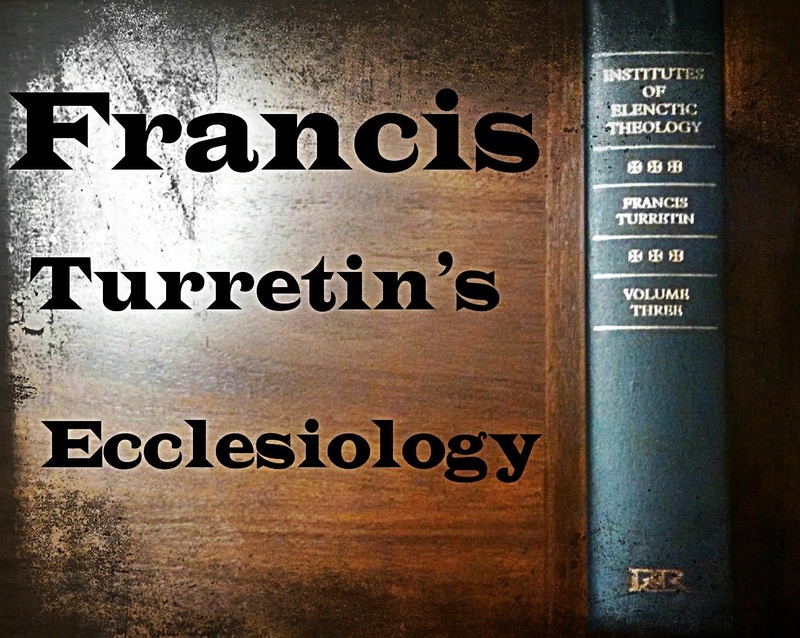 What exactly will Turretin argue against this position? First, that the odds are Peter never went to Rome and, second, that he wasn’t a bishop there much less for twenty-five years. In other words, Turretin denies this historical reconstruction completely. How will he do it? Keep reading to find out! The first three reasons that Turretin gives for doubting this reconstruction are variations on an argument from silence. To begin, you’d think that Luke would have said something about it in Acts if Peter being bishop of Rome was supposed to be a big deal. Then, Paul seems to hang with Peter from time to time, and even gets into it with him, but Paul also says nothing about Peter being bishop of Rome. Additionally, Paul doesn’t hesitate to go minister in Rome and gives no indication that Peter had anything to do with Rome even while naming other important early leading Christian figures in the city. Finally, Peter himself (assuming the traditional attribution of that pair of catholic epistles) doesn’t mention it. He also doesn’t assert any related authority (see 18.18.3-5). Turretin’s fourth and sixth arguments deal with the chronological details (see 18.18.6-7, 9). He argues that you can’t reliably place Peter in Rome during the reigns of any of the relevant emperors. Usually he does this by cross referencing what the New Testament authors have to say about Peter’s activities. He identifies a few periods when Peter could have conceivably gone to Rome, but these are nothing like the amounts of time given in the above reconstruction and Turretin thinks it more likely that Peter went elsewhere. One of the main reasons Turretin thinks that Peter went elsewhere is because of “the distribution of work which was made between Peter and Paul” (18.18.8). Peter and Paul came to an understanding that Peter would minister primarily to the Jews and Paul primarily to the Gentiles. Given this arrangement, it makes much more sense that Paul would go to Rome rather than Peter—which, come to think of it, seems to fit the picture painted by the NT. Sure, there were some Jews in Rome. But not that many, and certainly not nearly as many as there were at the eastern end of the Mediterranean. Coincidentally, Clement’s epistles mention Peter and his martyrdom, but they don’t say anything about Rome. Huh, another suspicious silence (18.18.10). Or, and if you thought that when 1 Peter 5:13 mentions “Babylon” it actually means Rome, you might want to think that one through since the book of Revelation says some pretty nasty things about Babylon. 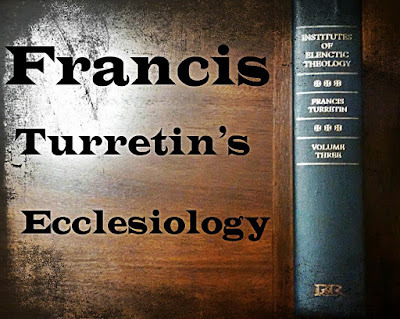 And while Turretin thinks those nasty things all apply to Rome, he thinks it’s better to read the 1 Peter passage literally—especially since there’s a significant Jewish community in the city of Babylon that would go on, as Turretin notes, to produce the Babylonian Talmud. Hey, maybe Peter went there? Oh, by the way, Bellarmine agrees (18.18.11). Also, the first attested mention of this tradition about Peter and Rome is a guy named Papias, who even Eusebius thought was kind of slow in the head and given to making up stories. Everyone else seems to have gotten it from him, so we probably shouldn’t take it too seriously (18.18.13). The fact that Irenaeus mentions it doesn’t help since [a] he seems to have gotten it from Papias, [b] Turretin’s opponents cherry-pick from Irenaeus anyway, and [c] Irenaeus attributes the founding of the see in Rome to both Peter and Paul (18.19.14). Besides, when you think about it, what’s so special about Rome? If you want to talk about sees that should have primacy, you’d think that Jerusalem would be in the mix since that’s “where the Savior died (and the apostle James) and whence the light of the gospel was diffused to all the corners of the earth” (18.18.17). The only thing special about Rome is that it was the capital of the Roman Empire (18.18.18) and—I admit that I’m reading between the lines here—frankly, who cares?